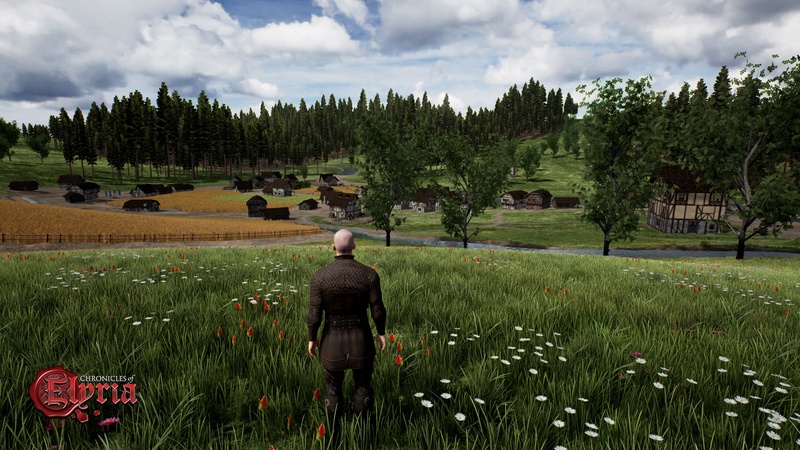 As Soulbound Studios states in their Equipment and Inventory Design Journal, MMORPG Chronicles of Elyria is “unquestionably a survival game” rooted in realism. There’s plenty of evidence that attests to this from the potential of permadeath, to the implementation of aging, to the minimalistic inventory system. In today’s journal, I’ll be delving into yet another survival game mechanic explored in earlier design journals on the Chronicles of Elyria website—specifically, navigation and maps. That being said, Soulbound Studios is debating the inclusion of a mini-map, but not in the conventional sense. If anything, the mini-map will be sensory based; if your character hears or smells something in-game it’ll turn up on your mini-map, even if you miss it (because, as Soulbound Studios notes, you can’t exactly smell things in video games). Personally, I think a suitable interface for a “sensory-map” such as this might be Skyrim’s horizontal bar positioned at the top of the screen, on which you can see which direction your waypoint is in but not exactly how far off you are from it. 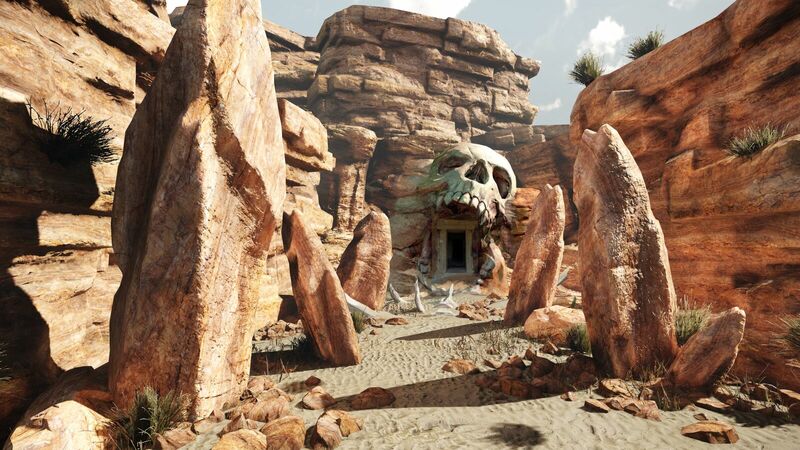 Ultimately, Soulbound Studios wants to “keep the user interface free of clutter”, and because of this, I very much doubt they will end up with the conventional circular mini-map. Despite the omission of a world map you can pull up to pinpoint your exact location, you will still be able acquire maps as you would acquire any other piece of gear—through buying, trading, stealing, and crafting. This more conventional mapping system—as opposed to the suggested sensory mini-map in the previous paragraph—will fill up the entire screen when being viewed. Which basically means it won’t be tucked away in a corner of the screen as you navigate your way through the terrain, GPS style, and you’ll also have to stow it away before engaging in combat, or doing anything, really. Soulbound Studios also states that there will be maps of varying qualities and usefulness, “Even with a map it takes a skilled navigator and a high quality map to know your exact location.” Though there’s no arguing that maps are indeed an essential part of the game. Not only will a map help you determine “where you live, dangerous locations near your home, where shops” and the like are located, it’s even required that you provide maps to your virtual offspring, should you decide to have those. 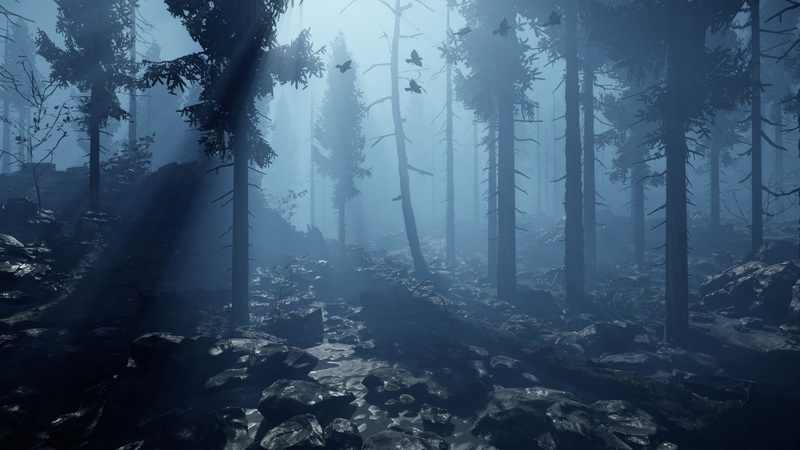 And not just one map, Soulbound Studios insists—a “set” of maps. All maps in Chronicles of Elyria are player-created. This will undoubtedly bring a level of depth and immersion to MMORPGs that has never been seen before—that is, if the mechanic bodes well amongst the community. It will be up to players to draw upon their cartography skills, sit down with “ink, parchment, and a series of tools” to determine the scale of the map (more on that later), and sketch it out. Upon completion, you’ll even get a chance to name regions you’ve identified on the map and not just for yourself, “the Soulborn Engine keeps track of all the names given to a town, village, watershed, lake, Kingdom, etc… And whichever name appears most frequently on maps for that landmark, that’s the name that it will be referred to by NPCs and by recent in-game lore.” How cool would it be to have the name you chose for a specific mountain go down in Chronicles of Elyria history? So how expansive will these maps actually be, you may ask? Well, Soulbound Studios intends to implement roughly eight tiers, each increasing in size: structural, settlement, regional, county, duchy, kingdom, continent and world maps. The labels are for the most part self-explanatory, but I’ll touch upon a few. Structural maps represent everything from the interiors of castles to maze-like dungeons, detailing item, trap, and creature location (although the latter is not definite, as enemies may roam from designated positions and who knows, maybe even sneak up behind you if you aren’t careful!). 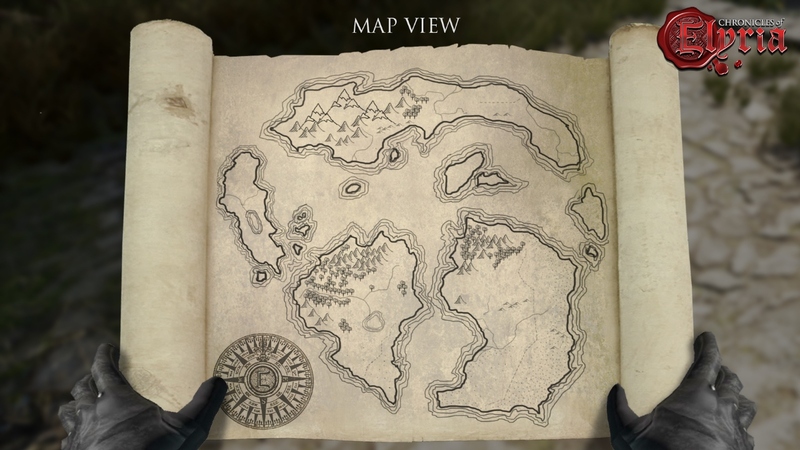 On regional maps, you will find locations of “unknown species of tree” or perhaps the “spawning grounds for a den of dire wolves”, which reminds me of the Witcher 3, where various plants and monster nests were pinpointed with icons in the mini-map and world map. Chronicles of Elyria has now reached 100% of its funding, and stretch goals should be posted very soon, as Soulbound Studios CEO has promised in their most recent Kickstarter update. The hype is building for this upcoming MMORPG, and there’s still time to contribute to their fund—the campaign has just under three weeks to go. Stay tuned for further coverage of Chronicles of Elyria! You can track the game’s progress in our Campaign Calendar.